In all fairness, Quentin Tarantino is not a director that tickles everybody’s taste buds when it comes to movies but his work does bring with it a trace of not only eccentricity but brilliance. And this is exactly why his latest movie, Django Unchained does not defer from the directors views and unique style of fearlessly approaching topics that other directors would not so easily portray. Moreover, if this was not enough to produce a movie masterpiece, Christoph Waltz takes on the role of Dr. King Schultz, the German bounty hunter and by so doing, raises his previous performances in movies like “Inglorious Basterds” to new, masterful heights. Where the plot is concerned, it involves a slave by the name of Django who is bought by Dr. King Schultz after he kills one of Django’s previous owners, cripples another and frees the remainder of the slaves. We later on find out that Django had been married with Broomhilda, another slave who had been sold into slavery after serving a German woman. After a disagreement involving segregation laws and Django not being served inside a bar because of being black that ends with King shooting the sheriff of a small town near El Paso, the two men make a pact to exchange Django’s freedom for the Brittle brothers. Things are starting to become interesting. If you want to watch the movie in HD quality, you should check the latest Time Warner Cable Offers. As only Django could identify the brothers, a plan is made to infiltrate their residence and as King tries to buy one of the slave girls, Django is free to roam around and thus finds a slave girl about to be tortured the same way as his wife. As the action quickly unfolds, King and Django kill the brothers and King realizes that his friend is a formidable sharpshooter and asks him what his plans are now that he is a free man. Soon the men decide to rescue Broomhilda while still collecting bounties and Django soon learns to read and behave in public, to shoot guns and many more. In the end Django realizes his dream of being with his wife while King is fatally wounded. 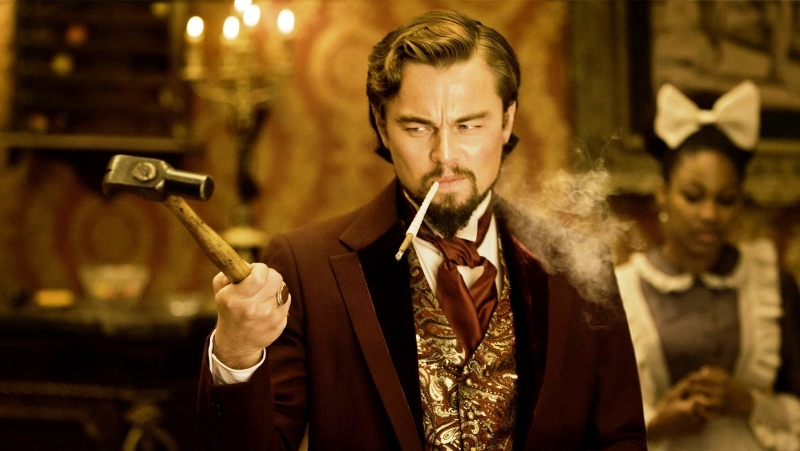 All things considered, Django is an exquisite superhero that Tarantino has created and it seems that Samuel L. Jackson, who played Stephen, told Tarantino that he was upset he was 15 years too old to be able to play Django- all the more reason to watch this masterpiece on the big screens. And since not only Waltz but also DiCaprio is a clear stand out in his performance, the movie will surely provide you with more highlights that you would expect.